This is a trick I learned at Convergence this year that I really like. 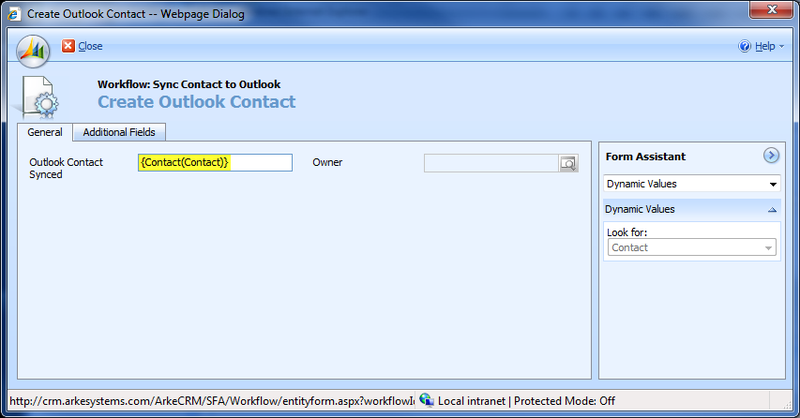 For those of you that weren’t there, I figured I’d document this neat little enhancement to CRM and Outlook. The end goal here is to allow CRM users to sync up arbitrary contacts to their Outlook, regardless of who may own the Contact. This can be very useful when you have multiple people work one deal, or when personal and business contacts might overlap. Once in there, you will see a Data Group called “My Contacts”. I turned it off in my settings, but that’s a personal preference. 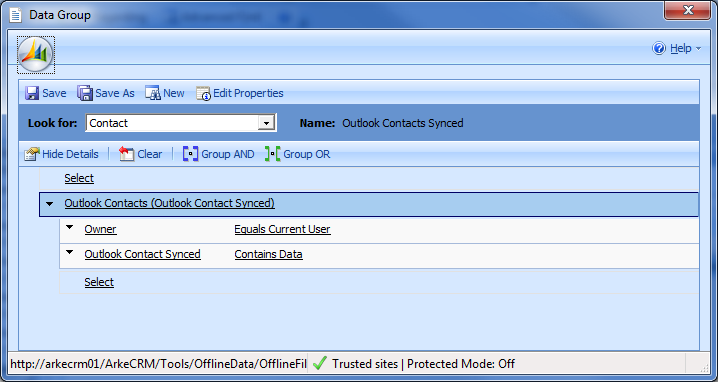 If you aren’t familiar, the My Contacts Data Group is the one that syncs all Contacts you own in CRM. 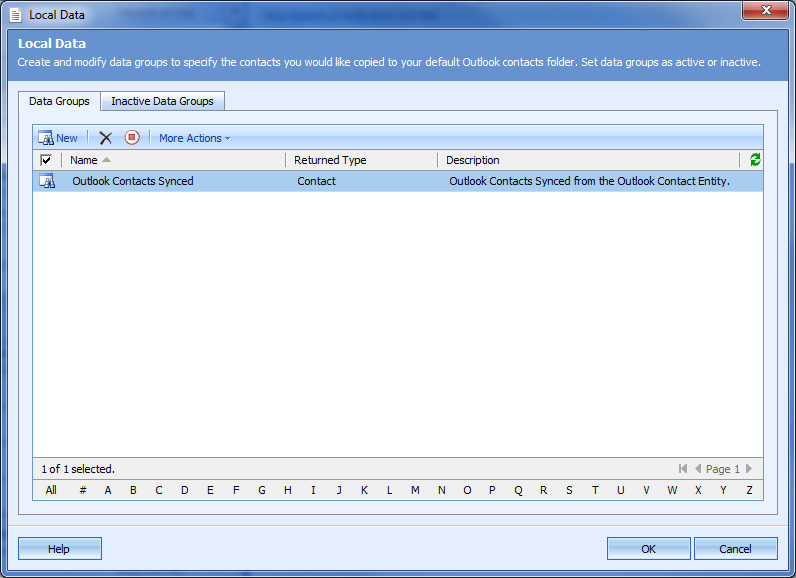 You then will want to make a new Data Group and call it “Outlook Contacts Synced”. Set it up to look like the image below and Save it. 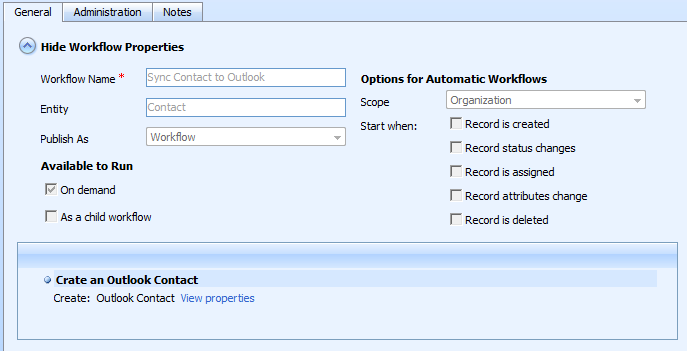 Once that is all set up, go to the CRM Contacts list and run the Workflow on any Contacts you want in your Outlook Contacts list. This will work even on Contacts you don’t own, as long as you have Append To permissions on all Contacts. 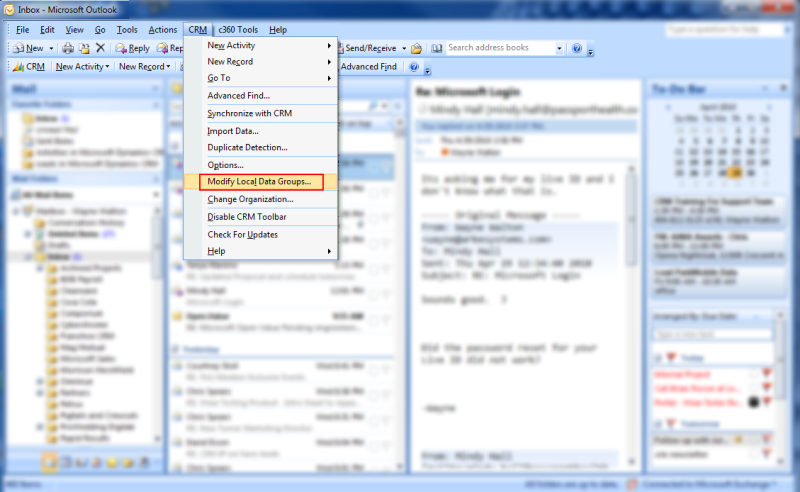 To see immediate results, click “Synchronize to CRM” in the CRM menu in Outlook! Otherwise, they will show up on the normal Outlook/CRM sync schedule. That’s it; you now have any CRM Contact you want in Outlook (and by extension, your mobile device)! 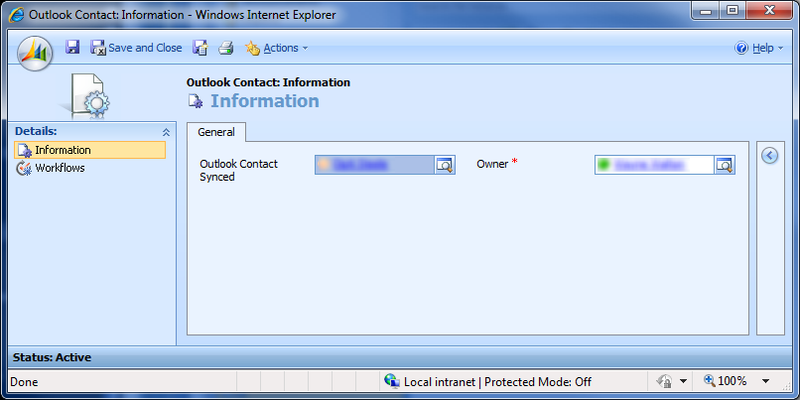 To remove the Contact, just Delete the Outlook Contact Entity in CRM, and it will be removed on next Sync. CRM decides which user account to use by finding the logged in user’s ObjectSID in the MSCRM database systemuserauthentication table. You can get your ObjectSID out of Active Directory ( dsa.msc ) if you have a 32 bit server by registering a dll from the windows server 2003 resource toolkit ( http://download.microsoft.com/download/8/e/c/8ec3a7d8-05b4-440a-a71e-ca3ee25fe057/rktools.exe ) (I don't know how to make it work on 64 bit; docs say 64 bit is not supported) - install toolkit, copy acctinfo.dll to c:\windows\system32 (copy step may not be necessary), "regsvr32 acctinfo.dll". Then browse to user in AD ( start/run/dsa.msc ) and look at the 'additional account info' tab (doesn't show up when user is found using find, unfortunately). Now that you have an ObjectSID, that can be found in the authinfo column of systemuserauthentication , which gives you a userid. You can use that userid to query systemuser and get a default organization id; You can use that organizationid and userid to query systemuserorganizations , which gives you a crmuserid. Finally this crmuserid guid is the systemuser id for your actual organization’s CRM database. Note that the two different systemuser tables are unrelated and use different guids; one is for the crm config db, and one is for your organization crm db. When using a custom workflow dll in CRM, make sure to register it with the same GUIDs on production as you do on your dev CRM server. You can do this easily by using export/import from the plugin registration tool. When you make a workflow, anything that uses a step from the custom workflow will end up referring to it by GUID. So if the guids don’t match for the dll, you can’t import/export workflows between the environments. And it’s not an easy fix by editing guids in the customization export file, because workflows are serialized inside this file. If you find out about the problem early, you can unregister and reregister the dll with the right GUID. If you find out about the problem late, after someone has already developed workflows separately in both environments, you may need to delete anything that uses data from the custom dll and recreate those workflow steps. For those just downloading the installer, check inside your downloaded file first (and ALWAYS for future packages) and be sure that there is only one zip inside called 'package.zip'. Do not unzip that file. Sometimes they wrap the package in another zip for downloading off their website. If you do not catch a double zipped package, you bring doom and reinstall for your application. Follow the instructions on installing packages as suggested on www.sdn.sitecore.net . After installing, it is not a finished out of the box product. Follow the instructions below.